The Korean War Veterans Memorial, unveiled in 1992, consists of several elements designed by different people and groups. 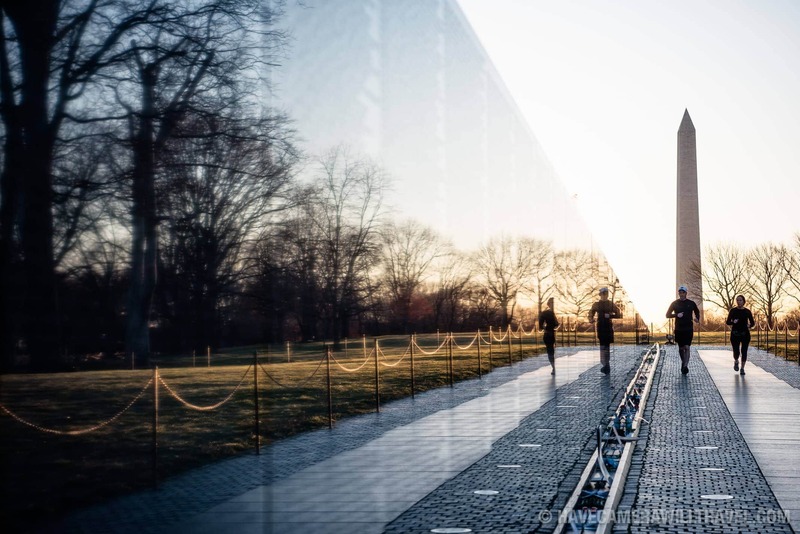 It has a triangular footprint with the main elements being "The Column" consisting of 19 stainless steel soldiers, each over 7 feet tall, and a reflective granite wall etched with the faces of thousands of Americans who lost their lives in the war. At one end of the triangle, behind the soldiers, is a grove of trees. 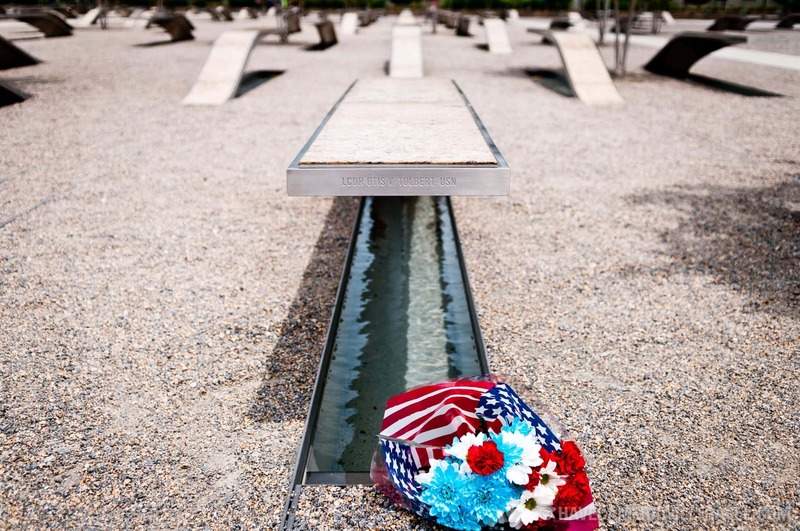 At the other is a large American flag and a small Pool of Remembrance. Among the designers were Frank Gaylord (the soldiers) and Louis Nelson (the reflecting granite wall). 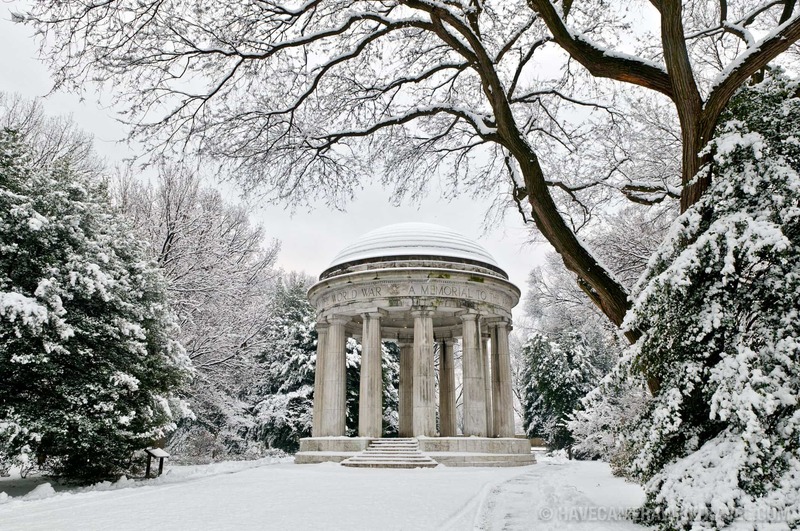 The Memorial is to the South of the Lincoln Memorial Reflecting Pool, not far from the Lincoln Memorial. The closest metro stops are Foggy Bottom (0.8 miles) (Orange and Blue lines), Smithsonian (1.1 miles) (Orange line), Arlington National Cemetery (0.9 miles) (Blue line), or Federal Triangle (1.4 miles) (Orange line). Metro has a handy Trip Planner and here's a map of the Metro lines. There isn't any parking immediately next to the Korean War Veterans Memorial (except for tourist buses). Depending on the time of day and how busy it is, it might be possible to find parking along Constitution Avenue, but make careful note of the signs to make sure you don't get towed. 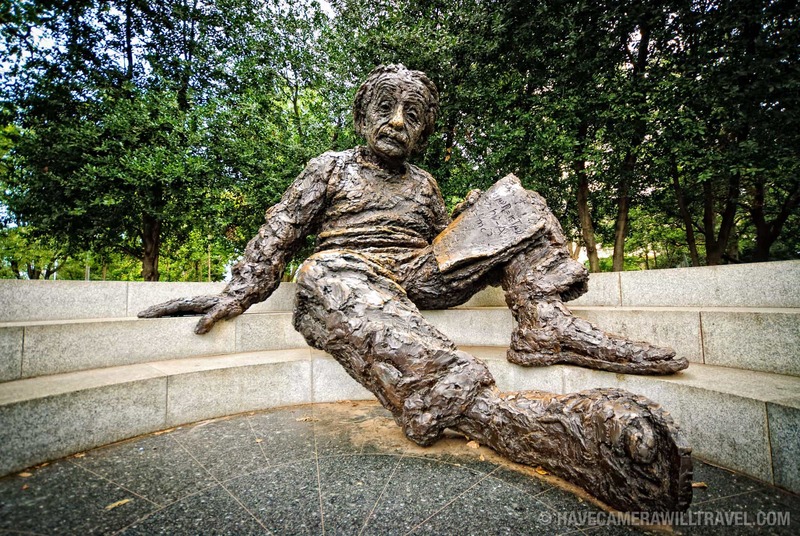 There's often free parking along Hains Point and West Potomac Park, but that's first-come-first-served, and you might end up with a long walk back to your car during the busy tourist season. And be warned that the roads around the Lincoln Memorial can be confusing; it's very easy to end up across the river in Arlington before you know it. If you're coming from the Arlington side, another good option is to park at Arlington National Cemetery (check hours and parking fees) and walk across Memorial Bridge. 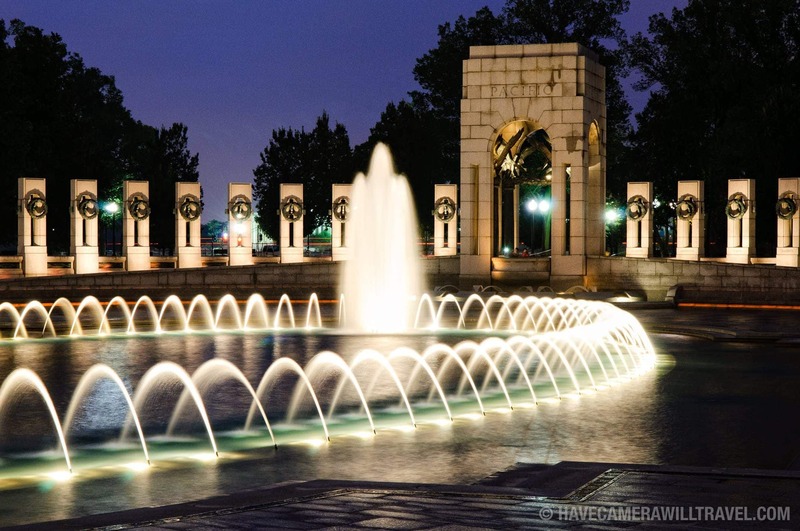 As one of the National Mall's outdoor monuments, the Korean War Veterans Memorial is accessible all day and night. Handheld personal photography is allowed, but tripods are not. There's no problem using flash, but if you're using it on the reflective wall you'll want to use it at an angle to avoid flare.